A fish market is bombed! Not really a prime target for a terrorist attack, right? 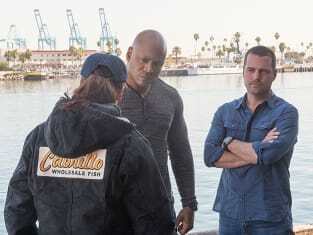 On NCIS: Los Angeles Season 5 Episode 16, the team investigates whether or not the bombing has terrorist ties or not. While at the fish market, they meet an undercover DEA agent, Talia. She's been working there to find out if drugs have been moved through the market or not. 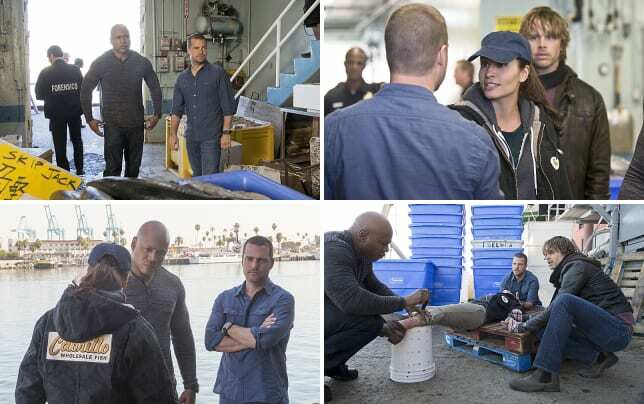 NCIS: Los Angeles Photos from "Fish Out of Water"
The fish market bombing case was one of my favorite this season. The investigation unfolded in a logical manner, while having a slight tone that something wasn't quite right. Seriously, why would a fish market be targeted by terrorists? When Talia was poisoned and the bombing was attributed as a hit, it seemed unlikely that there was something bigger at play. Instead of moving on, the team pushed on and it's a good thing they did. It was the work of a extremist terror cell. They were well integrated into society with impeccable covers. While I found the case engrossing, I didn't really care much for Talia. I get what the writers were trying to do by creating that specific character and then having her partner with Deeks, but it was too forced for my liking. Deeks has a complicated relationship with Kensi and he misses her. It's not necessary to have him partner with someone like Talia to exacerbate the situation. Hetty was on top of her game (though when isn't she?) with this one. She put Talia in her place and then showcased her computer skills to uncover Raul's true identity as Massil Al-Hawati. NCIS has chased formidable foes before, but none with a cover story as believable as Al-Hawati. Though, I did question his story when he told it to Sam and Callen. If his mother was an American in the Peace Corps, why was he attending college on a student visa? The death of his father and being raised by an English speaking mother was believable though. His withstood the interrogation in the boat shed without flinching. When Sam was ready to let him leave, I believed him. Though, again it seemed a bit off. No one is supposed to know where the boat shed is located, so why would Sam call him a cab and give him money for a ride home? He wouldn't. Instead, he caught the Al-Hawati in a moment when his guard was down. A good-bye in Arabic (I'm assuming.) and a response from Al-Hawati was all it took. Slick move! Talia had her own slick move when she had the chemical tested from Mateo's car. That was a break that led to the prevention of a major terrorist explosion. The team all had their roles to play and did so perfectly. The truck exploded, but without any loss of life. Case closed. And, Talia's DEA case at the fish market was worthwhile as well. Drugs weren't going through the market, instead it was large amounts of money to fund the terrorist cell. With that many bills being transferred, it was inevitable that traces of drugs would be detected. It was good day in Los Angeles! In Afghanistan, it was an entirely different story. A helicopter was taken down by a RPG and the occupants were not found. Dead or alive, the US military members had been taken. 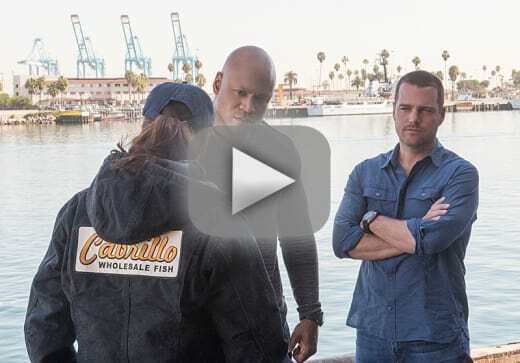 When a nearby convey was detected, Kensi left to take care of business. She was going to take out the White Ghost. Only when the time came to do it, she couldn't. It wasn't Sabatino. it was obvious that Kensi recognized him. Who was it? And, why did she shoot and miss him on purpose? The only person I can think of that it could possibly be is Jack. He was a Marine and he left her due to his PTSD. At least that's what she's said about him. He was based in Fallujah. Who is the White Ghost?